Living Colour is set to release the blues-influenced Shade on September 8, 2017, their first full-length album in eight years – and the fifth since their genre-smashing, multi-platinum 1988 debut, Vivid. Frontman Corey Glover joined Preston Frazier for a Something Else! Sitdown to discuss the new album’s place in Living Colour’s storied canon – and why he refused to include one song. PRESTON FRAZIER: Living Colour has a very aggressive calendar. How did you find time to write and record Shade? COREY GLOVER: We had a very collaborative process which in many ways was similar to what we did for our last full album, The Chair in the Doorway. We all go together and through our musical ideas; we bought in producer Andre Betts. He has more of a hip hop background, but also worked with Lenny Kravitz and Madonna. His sensibilities came into play on a lot of stuff. PF: Did Andre do the four tracks on the Who Shot Ya EP? CG: Yes, he did produce those. PF: How long did it take you to record Shade? I know some of the tracks have been tested on the road over the last few years – “Preachin’ Blues,” in particular. CG: The process took a while – start to finish, 3 to 4 years. We’d start things, record things, then tweak things and change them to make them the best we possibly could. The process took a lot longer than we expected it to. PF: Your last solo album The Pledge, was that before or after The Chair in the Doorway? CG: The Pledge was before it. PF: If I recall, you did a tour with the band Galactic out of New Orleans. CG: Yes, I was a part of the band, in the band for about two years. PF: So, you’ve been quite busy with your solo career, Galactic and Living Colour. CG: Yes, none of us ever stop moving, but we have spent a good amount of time on Shade – and the results show it. PF: Did you record more material than what was released on the album? CG: Absolutely. There are too many songs that we co-wrote and played to name and number. We spend a lot of time cranking out tunes, and the ones that moved us the most are the ones we kept – the ones we wanted to do. CG: “Preachin’ Blues” was one of the major drivers of this record. We performed at a show at the Apollo Theater, which was a retrospective of Robert Johnson’s life. We did a bunch of his songs and it lit the fire for a new record. “Inner City Blues” is one that we’ve been playing live for a while, and we wanted to include it. As far as “Who Shot Ya,” I’m a big fan of Biggie’s and I’d do off-the-cuff stuff by him. This song is so topical now, the whole idea of gun culture and why people are being killed by guns in the country. This is something I we feel should be talking about. PF: All the covers are timely. Living Colour has a history of including social elements in its music and has never backed away from that. CG: Well, the social element really is a big part of the story of our lives; we can’t ignore it. That’s what Living Colour believes, basically. We talk about the world we live in. It would be weird if we did something that didn’t talk about the world that we live in. PF: Corey, you and [Living Colour bandmate] Vernon [Reid] have appeared on the podcast Denzel Washington Is the Greatest Actor of All Time, Period several times. On one episode, Vernon mentioned a song that you all wrote that he loved and wanted it to be on the album, but he was getting some resistance – mostly from you. Did the song make the album? CG: Nope, it didn’t make the CD. We had gone through the album process for three years, had a finished album at one time or another but then decided we wanted to do additional songs and recording. This is the best Living Color album because of this process. We played with different sounds, tweaked the sounds to make it best. PF: With this much recorded but unreleased material do you envision it coming out at some point? CG: I don’t know. The process of us making records has always been fraught, with us focusing on making the albums the best. There are lots of songs from Collideoscope, there are lots of songs from The Chair in the Doorway, there are lots of live songs – and even Vivid – which have never seen the light of day and may never see the light of day. PF: Early on, you did an EP of rarities tracks. CG: Yes, it was called Biscuits. That had rarities, some live tracks and covers. With Shade, some of the changes we made over the time we recorded the album were due to some of the sonics that we wanted to change, some of the playing, where we had another idea – sometimes it was a drum sound, sometimes the lyrical content, sometimes the mix and edits. It was always a focus on fleshing things out. 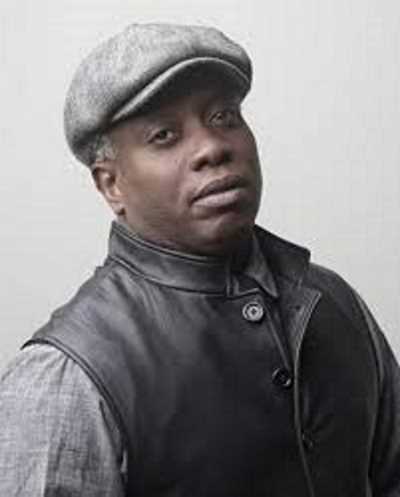 PF: Living Colour has some of the best players in the world, and you are stronger vocally now more than ever. How does it all come together? CG: Well, when you are working with some of the greatest musicians in the world, but who are also somewhat perfectionists, you never are going to get it all right. Plus, you are dealing with four people with four different opinions, plus a producer who has his own opinion – so, it’s five strong-willed people. That’s why the song I didn’t want on the record didn’t make the record. PF: What was it about that song? CG: I just didn’t like it, period. I didn’t like it. PF: How have you been able to maintain your voice? CG: My approach hasn’t changed. With practice comes betterment. It’s like an instrument: The more you use it, the more knowledgeable you are about it. Plus, it’s a muscle and you learn how to train and maintain it. It’s like working out. I believe as a vocalist, you better get better otherwise you’re out of a job. I didn’t do this all these years so I could become a postal worker! PF: George Clinton from Parliament-Funkadelic appears on the song “Two Sides.” How did he become involved? CG: We’ve known him for years and been on the road with him too, so we asked and he accepted. PF: Has the American audience changed for the band? CG: Well, they have gotten older. The core audience has grown up with us. PF: What’s your favorite track on Shade? CG: I don’t have a favorite. It’s like picking a favorite child. Shade is a fantastic album. It was time well spent by us. We really did something special here. PF: I think my father could have picked a favorite! [Laughs.] Speaking of favorites, what are your Top 5 albums? CG: 1. Jimi Hendrix’s Band of Gypsies; 2. Super Blues with Little Walter, Howling Wolf and Muddy Waters; 3. earlier Jackson 5 singles; 4. early Santana; and 5. early Buddy Miles. Those are people whose musical journey has had more of an impact than individual albums. For example, Buddy Miles was a visionary, had some rough edges but could play every instrument and could figure out anything and play. For him, it was survival – but it made great music. Billy Preston is also a great example. The man started in church but had a wide spanning career. Music was their lives. Even the Jackson 5’s “Who’s Lovin’ You” shows a musical maturity not seen in those days, especially when sung by a kid. It’s disturbing, especially given the context of Michael Jackson’s life, but still great.